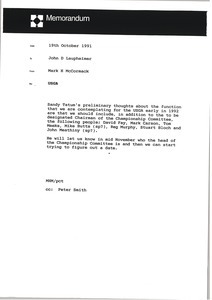 McCormack sends a letter written by Isamu Atagi of Dunlop Sportswear to Tony Greener of Guinness regarding developing the Gleneagles brand in Japan. 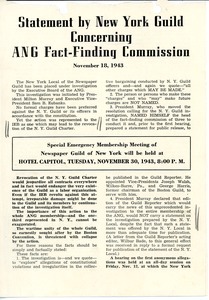 New York (N.Y.) - Summary of the Fact Finding Commission on revoking the New York Guild Charter. Harris informs him of the terrific opposition to Rodgers and others in the administration. 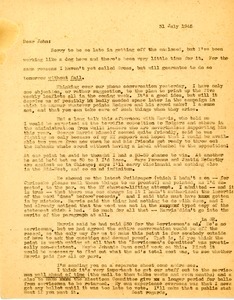 Includes a copy of Whipple's Statement for leaflet to NY local servicemen. 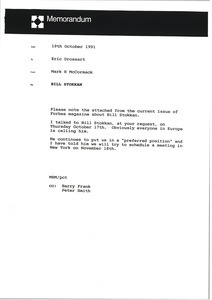 McCormack sends an article from Forbes Magazine regarding William Stokkan, Chairman of Championship Auto Racing Teams. Enclosure not scanned. 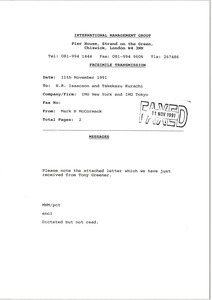 Forwarding a memo regarding IMG products. Enclosure not with letter. 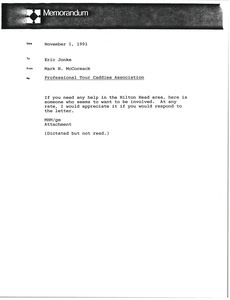 McCormack sends a letter, business cards and a resume from Don Davidson of Professional Tour Caddies Association. 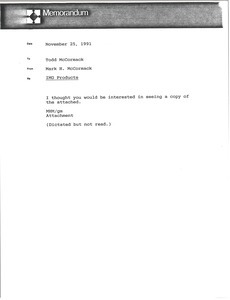 McCormack writes regarding the United States Golf Association designating Chairman of the Championship Committee. 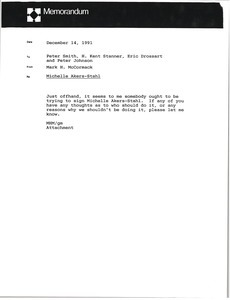 McCormack sends a clipping from the December 9, 1991 edition of Time Magazine regarding soccer player Michelle Akers-Stahl. Enclosure not scanned. 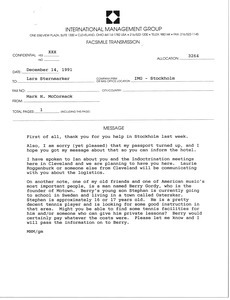 McCormack writes regarding the Indoctrination meetings and finding a tennis facility for Berry Gordy's son, Stephan. 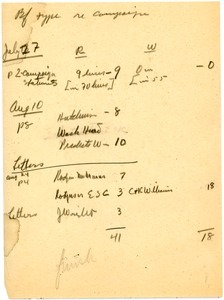 Miscellaneous notes, apparently tallying votes.